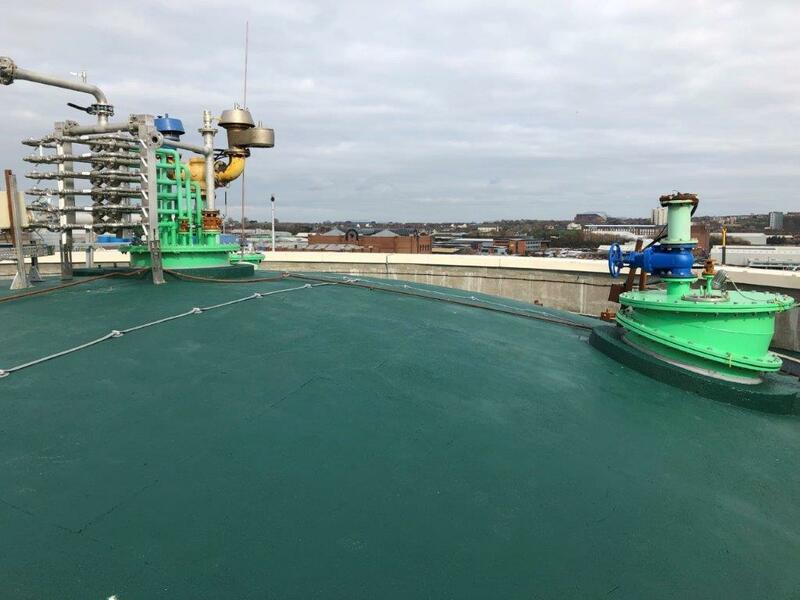 Biogas Products Ltd have completed refurbishment works on a digester at Liverpool STW for Eric Wright, framework contractor to United Utilities. 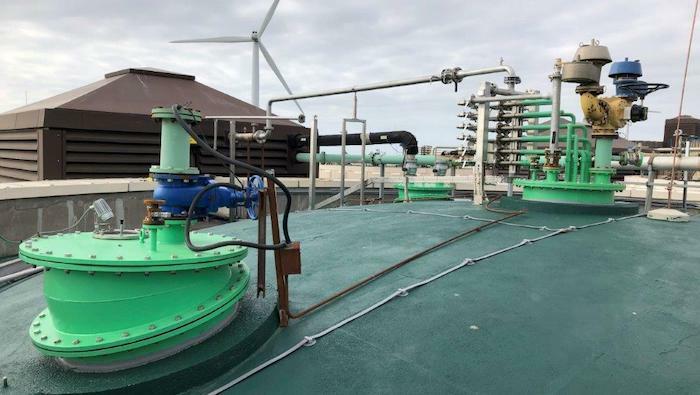 Work carried out on the anaerobic digester included the refurbishment of four mild steel upstands. 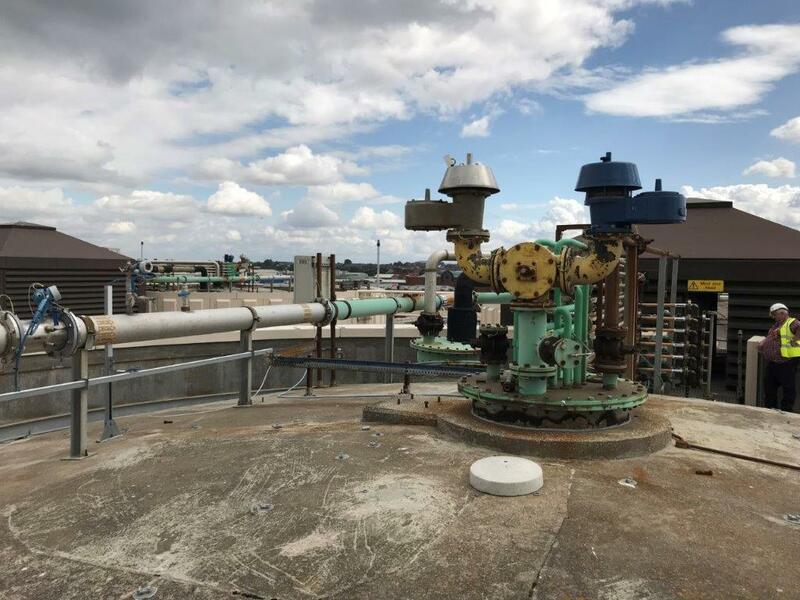 These were removed from the digester roof, transported to our works for refurbishment, which included shot blasting and repainting with a marine resistant coating. The viewing windows and lights on each of the upstands were replaced before they were reinstalled on site. The concrete roof of the digester was cleaned using a high pressure jet wash, before being resealed with ahigh performance chlorinated rubber floor paint.